This notebook explains how to use the functions and classes in gammapy.spectrum in order to simulate and fit spectra. 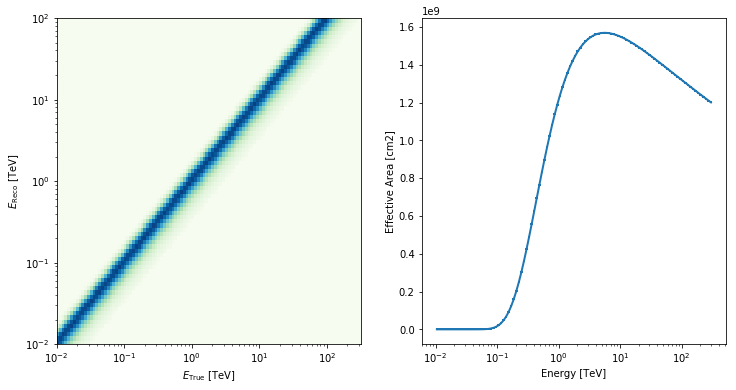 First, we will simulate and fit a pure power law without any background. Than we will add a power law shaped background component. Finally, we will see how to simulate and fit a user defined model. For all scenarios a toy detector will be simulated. For an example using real CTA IRFs, checkout this notebook. For the sake of self consistency of this tutorial, we will simulate a simple detector. For a real application you would want to replace this part of the code with loading the IRFs or your detector. In this section we will simulate one observation using a power law model. In this section we will include a background component. Furthermore, we will also simulate more than one observation and fit each one individuallt in order to get average fit results. 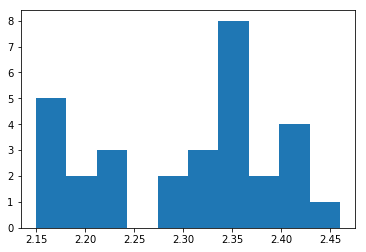 Fit a pure power law and the user define model to the observation you just simulated. You can start with the user defined model described in the spectrum_models.ipynb notebook. Vary the observation lifetime and see when you can distinguish the two models (Hint: You get the final likelihood of a fit from fit.result.statval). In this tutorial we learnd how to simulate and fit data using a toy detector. Go to gammapy.spectrum to see what else you can do with gammapy.